Thank you VOYA. VOYA has a tendency to send me the third in a trilogy to review... when I haven't read the first two. Sure, I grumble because I'm the type of person who has to read the first two and my time is seriously limited, but without fail I wind up loving the books and grateful for being introduced to them. 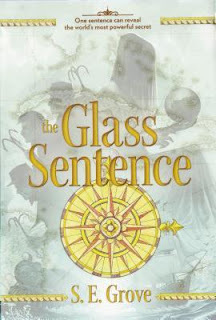 The Glass Sentence is the first book in a truly unique fantasy series for Middle School students. Sophia Tims is a young girl living in Boston in 1891. But this is not Boston in the United States because there is no United States. In 1799 time paused for everyone--people frozen in whatever they were doing--as they watched an entire year flash before their eyes. When time resumed again, the continents were all flung into different time periods. Places that were once known, were now foreign and undiscovered. After a hundred years the Eastern Seaboard became known as New Occident and developed quite differently than it would have without the Great Disruption of 1799. Sophia lives with her Uncle Shadrack, a famous cartologer and explorer, because her explorer parents disappeared 8 years earlier on an urgent mission. 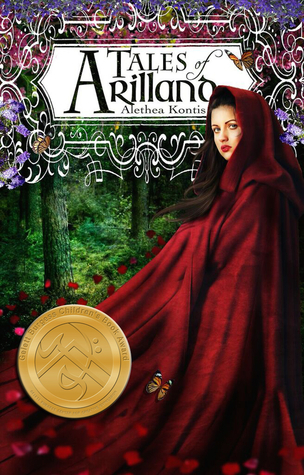 When the government decides it needs to close the borders and prevent foreigners from coming in, Sophia is concerned her parents will never find their way home. When Shadrack is kidnapped, Sophia knows it's up to her to save him and embarks on her first adventure outside of the border. She's joined by Theo, a refugee from the West, who has his own secrets. I truly enjoyed this novel. 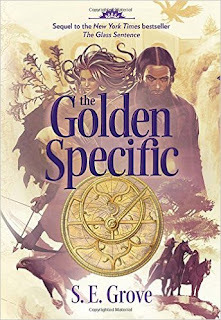 The premise was pretty unique--a world made up of different time periods--as well as the fantasy elements--maps are not just two-dimensional pieces of paper but can be made using different elements and when awoken they let the mapreader actually experience what the map shows (memory maps). 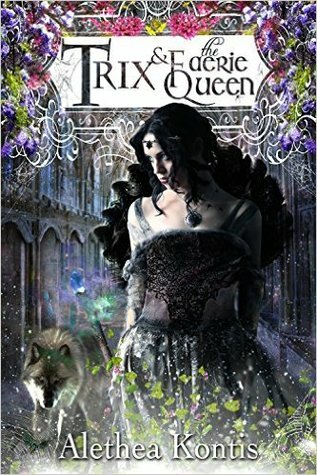 I'm a big fantasy reader and I loved the world-building in this series. It's the perfect book group book--some kids might need a little help conceptualizing the different time periods--and it has much deeper issues that are relevant today of border closings and being afraid of foreigners. My 11 1/2 year old blitzed through the series after I gave him a brief description (and chose to do his school book talk on the second one) and my 9 year old just started it. It might be a bit above her with all of the time talk and memory maps, but I had no problem letting her try it. 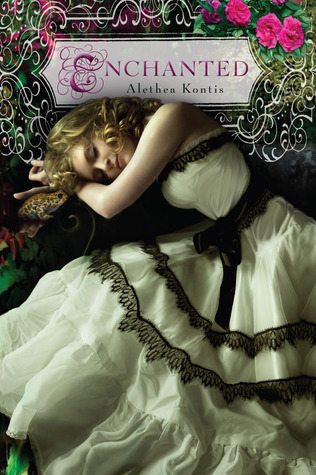 I discovered Alethea Kontis's first book in the Arilland series, Enchanted, while browsing my library's shelves for something interesting. 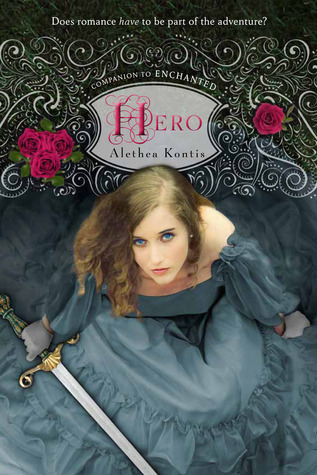 Then I discovered the second book, Hero, while browsing my library's ebook shelves. After that I would periodically check the ebook collection to see if there were more. I came across the rest quite by accident--or fate--while checking my twitter feed one night. I'm not quite as good about checking that account--I'm usually on my personal one talking about running--but I've been trying to be better about it. 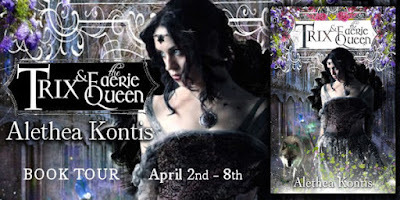 This particular night Kontis tweeted the covers of the other books in the series and I realized I was quite behind! My library still didn't own the ebooks and I was sitting on my couch, so when she tweeted that Amazon was selling the ebook for only .99, I figured I'd better listen & buy it. Trixter tells some of the events of Hero from adopted cousin-brother Trix's point of view. At the beginning of Hero, Trix has poisoned his family so that he could travel to see his recently deceased birth-mother. After discovering what Trix has done, Saturday unwittingly summons an ocean and sets about on her adventure. 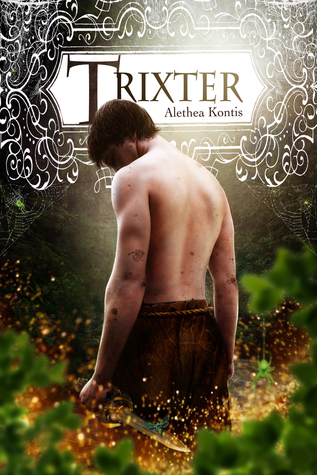 In Trixter, we see the effects of that magical ocean as well as the rest of Trix's journey. Before Trix can complete his quest to see his birth-mother, he must survive the ocean's sudden coming and leaving. 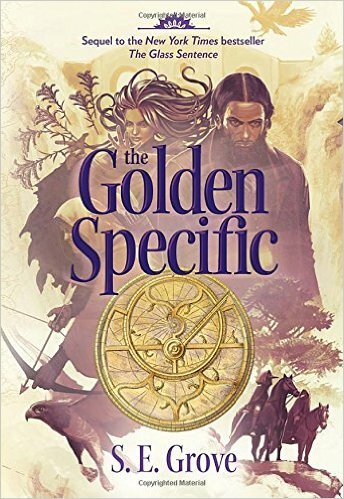 The Boy Who Talks to Animals is helped by both normal animals and magical creatures and gains a new traveling companion when he stumbles upon a bewitched cottage with a golden girl. 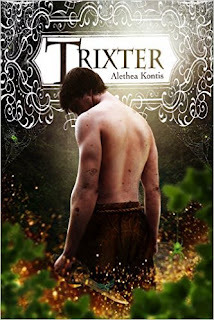 Just as enchanting as the previous books of Arilland, Trixter will not disappoint fairy tale fans. I am officially proclaiming my membership in the Shadowhunter fan club. I wasn't sure how I would react to this book... I am a Jace/Clary fan and I found the Emma parts of the previous series to be a bit distracting. So I went into this new series a little hesitant. I mean, I knew I would read it, but would I love it? Would I respond to Emma the way I did to Clary? 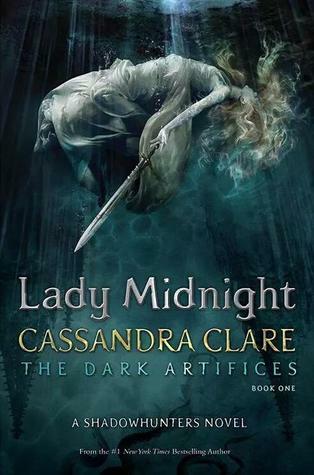 Lady Midnight takes place five years after the events in City of Heavenly Fire. The Shadowhunters are trying to recover from Sebastian's treachery and the Dark War. 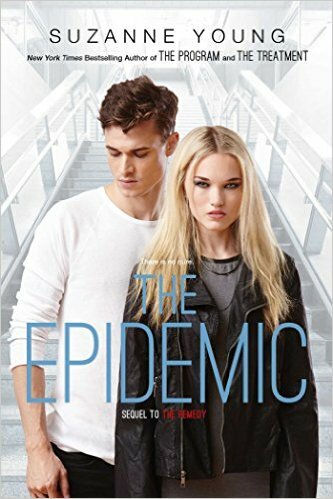 17 year old Emma is still trying to recover from the murder of her parents--blamed on Sebastian although she doesn't believe it--and bent on revenge. Afraid that she would be taken from the only family she's known, she agreed to be parabatai with Julian Blackthorn when she was just 12 years old. Julian's father was also killed during the Dark War and even though his Uncle has legal custody of him and his 4 siblings, Julian is the one who really takes care of both the family and the Institute. As parabatai, Julian and Emma have a sacred bond. One that prohibits romantic love. This isn't a problem until a series of events occur that push the two closer together. The Clave has laws that seem unjust and unnecessary, but sometimes their laws really are intended to protect Shadowhunters. But for Emma and Julian, it might be too late. 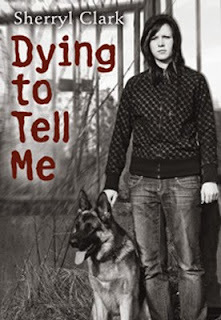 At the same time Emma and Julian are dealing with forbidden love, dead bodies have been turning up with cryptic writing on them--just like the writing found on Emma's parents. Some of the bodies have been fairies, so the Wild Hunt makes a bargain with the Blackthorns. If they investigate, they will release half-fey Mark Blackthorn from his service to the Wild Hunt and allow him to choose his own fate. Mark has been gone 5 human years, but countless fairy ones, so his transition back to the family is not as smooth as the younger Blackthorn siblings had hoped. There are twists and big plot reveals that I am trying very hard not to spoil. It is going to be quite difficult waiting for the next book! So, yes, I did fall in love with Emma and Julian. I did get swept up in the story and invested in their futures. Fans of the Shadowhunters will love this one as well. 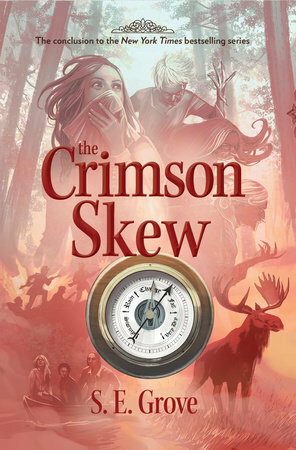 Those unfamiliar will want to read the earlier books. Although this is Emma and Julian's story, our favorites do make tiny cameos. Clary and Jace, Magnus, Jem and Tessa. Others are mentioned as well giving us updates on characters from the other series. I can't wait for the next one! There are a few authors that I consider must-reads. I will read absolutely any and all of their books--Sarah Dessen, Melina Marchetta, Garth Nix, Rainbow Rowell. Ally Carter is quickly climbing to the top of that list. I hope she doesn't start publishing her grocery lists because I have enough to read. 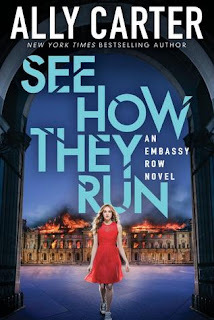 I've read all of the Gallagher Girls, the Heist Society books, the short stories tying them together, and now her latest Embassy Row series. 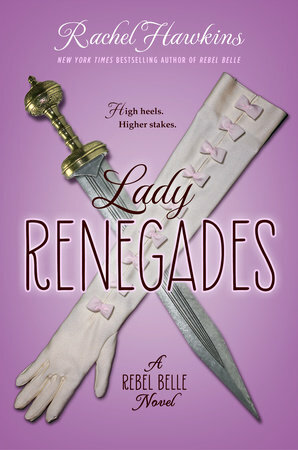 I loved loved all of her books, but I think that maybe Embassy Row might be favorite. It's difficult to say, but I think it's true. See How They Run picks up the story right where All Fall Down left off. If you haven't read All Fall Down yet, get on it. Now. Go the library, go to Amazon, go where ever you need to go and get it read. This is not a pick it up in the middle type of series. I'm not responsible for spoiling you on All Fall Down if you continue reading this review. 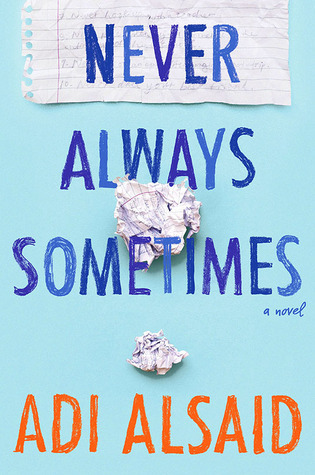 In All Fall Down, Grace learns that almost everything she has believed has been wrong. She was right in that her beloved mother did not perish in a fire and was indeed shot to death. She was wrong in blaming the "Scarred man" for pulling the trigger. The Scarred Man *was* sent to kill her but was actually trying to save her. 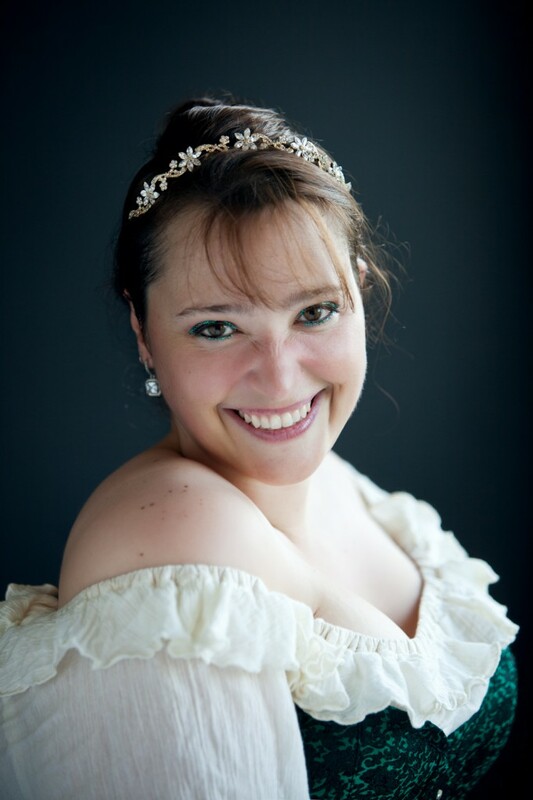 The truth is so much worse than what she feared--Grace is the one who fired the fateful shot. See How They Run deals with the aftermath of Grace's discovery and reveals the mystery surrounding Grace's mother is even deeper than Grace believed. The more that Grace learns, the more secrets she must keep from her new friends and her protective older brother Jamie. 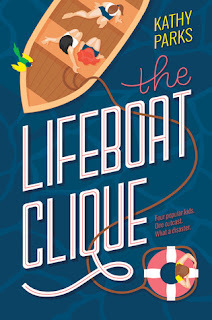 But as Grace digs deeper, she quickly realizes her own life is in danger and that some people are willing to murder to keep secrets from becoming known. Grace is such a complex character. She is stronger than she admits, but also vulnerable. There are so many secrets and lies that she doesn't even know if she can believe herself anymore. Is she completely crazy? Or is she the only one who can see the truth? There is so much in this book--Grace's complicated relationship with her older brother Jamie who comes to check on his fragile sister; Grace's relationship with her brother's best friend & her romantic interest Alexei; the political ramifications when Jamie's West Point roommate is murdered and Alexei is blamed. 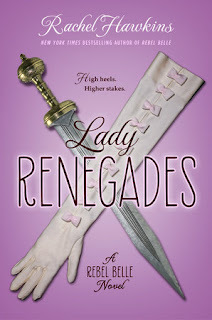 It is nearly impossible to put down See How They Run--the pages practically drip with intrigue. The story is gripping, the characters are gripping, the only downside is having to wait for Carter to release the next one. 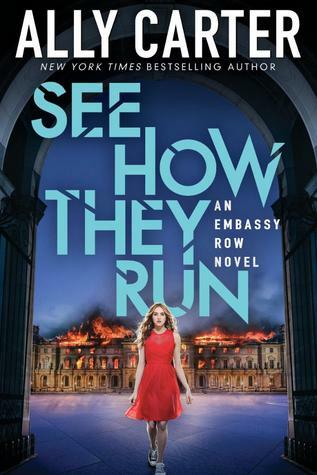 The ending of See How They Run will have you gasping for more. Quinlan McKee can be anyone. Just by changing her hair and eye color and studying the mannerisms of a particular person, she can reasonably pass for any white teenage girl. It's a good trait to have when you are a closer--someone hired by a grieving family to act as the deceased and give the family a chance to say goodbye. It's the ultimate therapy and can be very beneficial but it's not always understood or appreciated by everyone in the deceased's life. 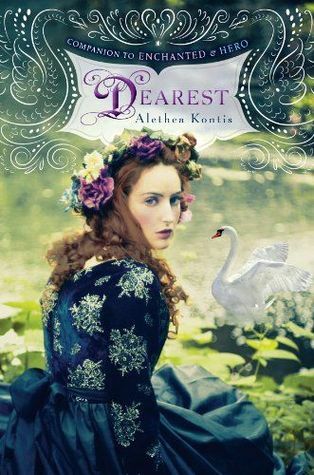 Quin must immerse herself in somebody else's life while remaining detached enough to remember who she is. When she is sent on a job immediately after returning from one and it turns out to be the longest one yet, she's at risk of completely losing herself. The Remedy is a prequel to Suzanne Young's popular duology The Program and The Treatment. 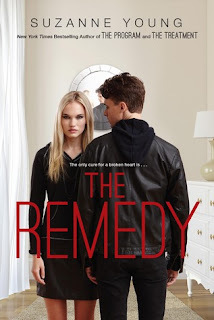 I have not read those books but I just got the sequel to The Remedy to review for VOYA so I figured I'd better at least read this one. Despite my lack of familiarity with this dystopian world, I enjoyed this novel. It is an interesting premise--how often have we wanted the chance to say goodbye to a loved one? You can see the appeal to therapy like this and also the horrible risks to everyone involved. The very end of the book is a bit mind blowing. 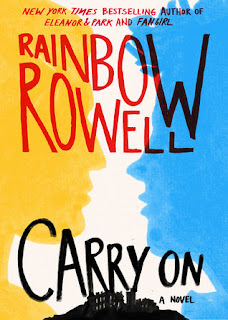 Although I had no trouble reading this and it definitely has its own story, I'm sure that if I had been able to read the other books I would have gotten even more satisfaction out of it. An "a-ha, so that's how it all started" moment. I am looking forward to reading the next one and seeing how it all plays out. 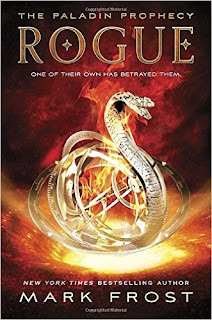 At the end of the last novel, Will West discovers that the old man he has been interning with is actually his grandfather and his grandfather is not only in league with the bad guys--he's in charge. Forced to make a tough decision to save the people he loves, Will pretends to go along with his grandfather. He works "undercover" as a dutiful grandson learning about his family legacy, all while building a plan to end the Other Team's nefarious plot to take over our world. Will is not alone in his work. Trusted friends Ajay, Nick, Elise and Shaman/cross country coach Jericho all assist him in his most daring plan ever--to break into the Never-Was, rescue good guy Dave, and save the world from the bad guys (humans and demons). This final novel is a non-stop action ride. While a lot of the second book was surveillance and information-gathering, this one is one battle after the next. The majority of the story takes place in the demonic realm, the Never-Was, and is appropriately full of monsters and supernatural events. Will and his friends are able to use more of their new-found powers. The Paladin Prophecy dipped its toes in the supernatural, but Rogue is fully immersed in it. I thoroughly enjoyed this trilogy. I would have liked just a bit more with Dave and the Hierarchy, but I was satisfied with the ending of this series. (Although a short story featuring Dave would be pretty awesome. And if there is ever a movie made he should be played by Jason Statham). Fans of action packed adventure stories will not be disappointed. Dess has never had a normal family life. She’s moved from place to place with her drug addict mother, living in fear of her criminal drug dealing father. When her mother has a child with another man, Dess knows she needs to intervene or her dangerous father will hurt them all. Four years later, Dess has settled into a predictable life in a group home while she waits for her mother to get out of prison and testify against her father, but then the unpredictable happens and Dess is placed in a foster home—the same one her little brother has grown up in. 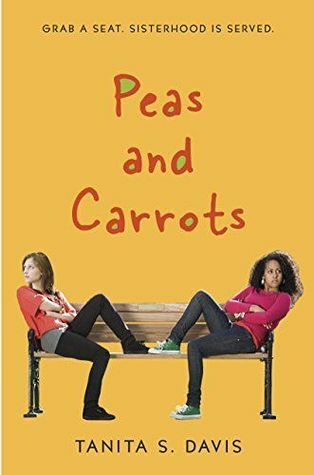 Dess is completely out of her element and immediately clashes with her brother’s loving African American family, especially his fifteen year old foster sister, Hope. When Dess’s life is thrown another curve ball, she realizes what family really means. Written in chapters alternating Dess’s and Hope’s views, Davis manages to address racial stereotypes without being heavy-handed. Although Dess and Hope are very different on the outside, they both face the same insecurities. 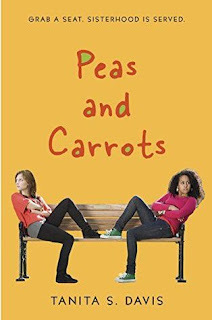 Peas and Carrots is a quick interesting read. There are some unanswered questions about Dess’s parents--will her mother actually testify against her father and will Dess ever be safe from him again--but ultimately this story is about Dess’s new family and new beginnings. There are many people that think Cassandra Clare has gone too far with the Shadowhunter series...and there are many people who will read anything that has to do with the Shadowhunters. I guess I fall into the latter category. This is a series of stories or novellas that chronicle Simon Lewis's time at the Shadowhunter Academy. The regulars from both The Mortal Instruments and The Infernal Devices make appearances throughout the different stories to help support Simon on his quest to graduate the Academy and be a real Shadowhunter (and get his full memories back). I read each of the novellas as separate books because that's how my library had them as e-books. I think they will be bound together at some point under the title Tales From the Shadowhunter Academy. I finished many of them (sometimes more than one) in a single day. They were quick to read and I enjoyed them all. Some were better than others. Like the Bane Chronicles, they were co-authored by different people. Many of them gave some background info to the characters we already know from the other series and some set up the next series. 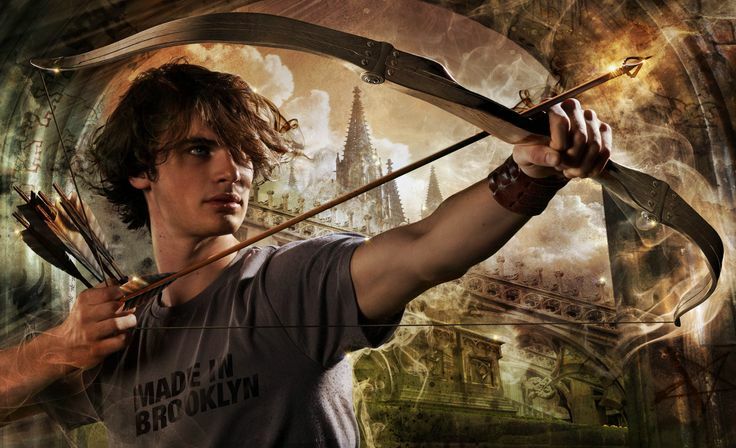 If you're a Shadowhunter fan, you'll enjoy revisiting the world. 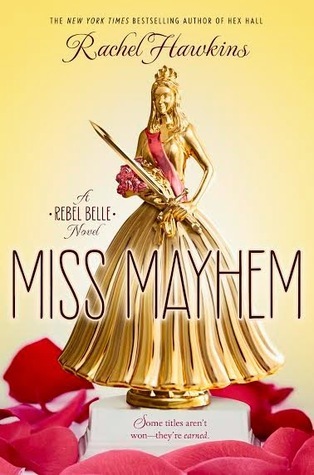 Harper Price is the perfect student, the perfect daughter, the perfect girlfriend. She has everything planned out and is in complete control. Until a regular trip to the bathroom turns fatal--her school janitor has been stabbed and before he bleeds to death on her he manages to strangely kiss her and the teacher who stabbed the janitor goes after Harper but she manages to defend herself with inhuman strength she didn't have before. Harper has no idea what is going on and when she discovers she's been given super powers to protect her one "enemy" in the whole school, she officially loses control of her life. Harper is a Paladin now and sworn to protect the Oracle, even if he's been annoying her since kindergarten. 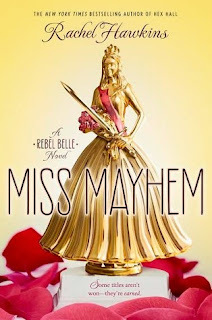 Rebel Belle reminded me so much of Buffy--the reluctant chosen one who is just as concerned about what to wear to prom as much as getting out of it alive. 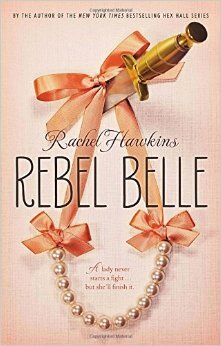 Harper is funny and interesting and Rebel Belle is great for readers who want an apocalypse story without a big apocalypse. Just like Buffy saved the world a lot without most people ever knowing, Harper has to do the same all while perfecting her walk for the Cotillion.